Darren is a Chartered Psychologist specialising in executive coaching, change management and leadership development. Darren was trained in the Hay/McBer approach to leadership and organisational development and has applied this in his work with clients across sectors. He is also an Executive Coach for London Business School. Darren’s coaching style is influenced by his wide experience of working with different coaching approaches and methods. He is of the firm belief that the best coaching is achieved when the coach is able to truly engage and listen to the coachee. This enables Darren to ensure that the approach he uses is truly client-centred. As a psychologist Darren has both the breadth of experience and depth to be able to understand and connect with individuals at all levels. He has worked with clients on a range of issues, some of which include developing strategic presence, self-confidence, strategic thinking, impactful leadership and prioritisation and team management. Darren works with a range of individuals from Board and Vice-President Levels to functional Heads/senior managers including the armed forces and police service and has also worked with clients on an international basis (Europe & the US, the Middle East (including Saudi Arabia and the Middle East). Darren has worked at senior levels within Hay Management Consultants, DHL, Barnardo’s, the Metropolitan Police Service and currently specialises in executive and senior team coaching, talent development and employee engagement. 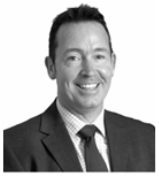 Darren has practical experience of senior management – having worked at strategic levels within private and public sector organisations, and has worked across international boundaries with senior-client facing teams. Darren works with a range of individuals from Board and Vice-President Levels to functional Heads/senior managers and has also worked with clients on an international basis (Europe & the US, the Middle East (including Saudi Arabia and the Middle East). "I have had the life changing privilege of working with Darren over the last few months and his support has been invaluable. The combination of his extensive coaching experience and his ability to use his acute psychology skills allow Darren not only to guide you quickly and naturally towards the solutions to your most challenging professional obstacles, but he also gets you to realise how your work and your life behaviours / choices are intrinsically connected. Each session has covered and uncovered different aspects ; the preparation required and the reflection following after add huge benefits to the time spent with him"
"Phenomenal personal outputs derived from the 1:1 coaching sessions. Through Darren’s support I have achieved more personal growth over the course of the coaching programme than in any previous leadership or management training. Darren is particularly insightful, thought-provoking, whilst also having a fantastic ability to challenge the status quo. He is also particularly adept at providing advice and mechanisms for improvement post session. All-in-all highly recommended"
"Darren provided executive coaching for me at a time when I took on a more senior role. Over the course of a year he has fundamentally re-shaped the way that I think about my values, strengths, development areas and goals. He has given me the confidence to achieve my ambitions and look for even more stretching challenges. I am grateful to Darren for what he has brought out in me and wouldn't hesitate to recommend him to anyone for similar work in future." "I recently completed a series of professional coaching sessions with Darren, which were to support my transition into a senior management role within our organisation (at the same time as I was starting a family and moving into our first home!). Although he would never take the credit for it, I honestly believe that without his attentive listening, challenging questions, genuine empathy and very perceptive observations, this period of my professional and personal life would not have been as rewarding as it has been. By asking the right questions and continuing to push me when I was at my most resistant (which I had asked him to do), Darren enabled me to realise the things I was doing that held myself back, as well as helping me to articulate and understand how to address these and move forwards positively".